Toronto — Some people are making sure Jeffrey Baldwin, a boy who allegedly died of neglect before his sixth birthday, will not be forgotten. On Sunday, Greenwood Park became the site of a memorial to honour Baldwin's life. Amanda Reed spearheaded the project. In an emotional speech, she told of how thoughts of the boy's life and death motivated her. "Everyday I catch myself wondering how he felt, if he thought he deserved this. I wonder if he finally gave up waiting on the help that never came and let his poor little life go," said Reed. 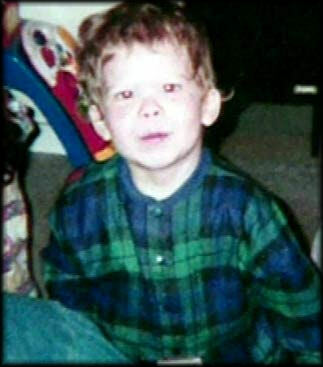 Weeks of alleged neglect from his grandparents lead to the boy's death in November of 2002. The Catholic Children's Aid Society placed Jeffrey in his grandparents' care. Now they are on trial for Jeffrey's death. It is alleged the boy had been locked in an unheated room with his sister, without food, for long periods of time until he died of starvation. Evidence came out during the trial that other adults staying in the house did nothing to help the children. Jeffrey's life may have ended in obscurity, but many people are now thinking about him. Therese Rickman–Bull never knew him. Still, she traveled from Washington state just to attend the memorial's dedication. "I hate to think he never had a hug, that he never had a blankie, no one to sing a lullaby ... all the things we do to our children, he had none of that," said Rickman–Bull. But family who love and miss the boy also helped dedicate the memorial. Susan Dimitriadis, his paternal grandmother, misses Jeffrey, saying: "There was someone who loved him. I loved him since he was born." The hope for Jeffrey Baldwin's memorial is that it will be a place to remember his short, tragic life.